Concord Basement Recreation Room — R.C. Carpentry, Inc. 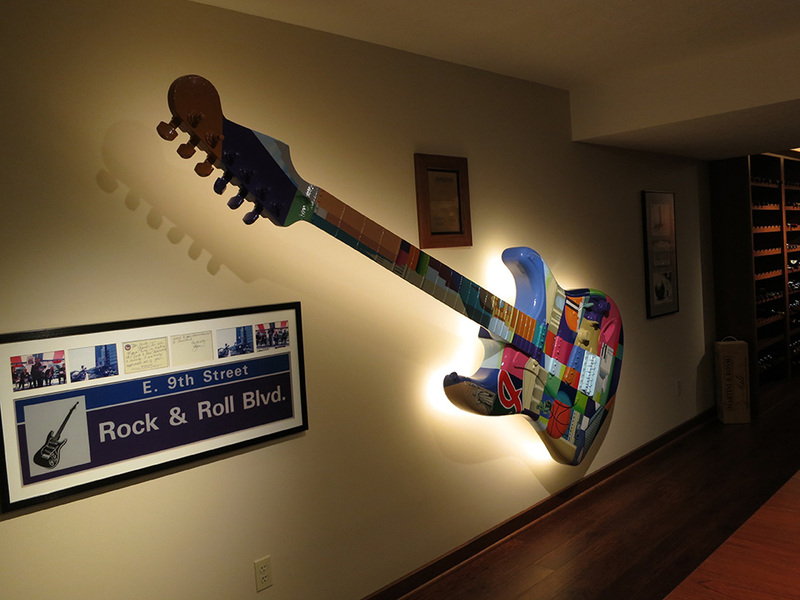 This Concord, Ohio, basement recreation room serves as an art gallery to display their many rock-n-roll items. The large, custom built, cherry table in the background serves as a craft table as well as the perfect serving table / bar when guests arrive. 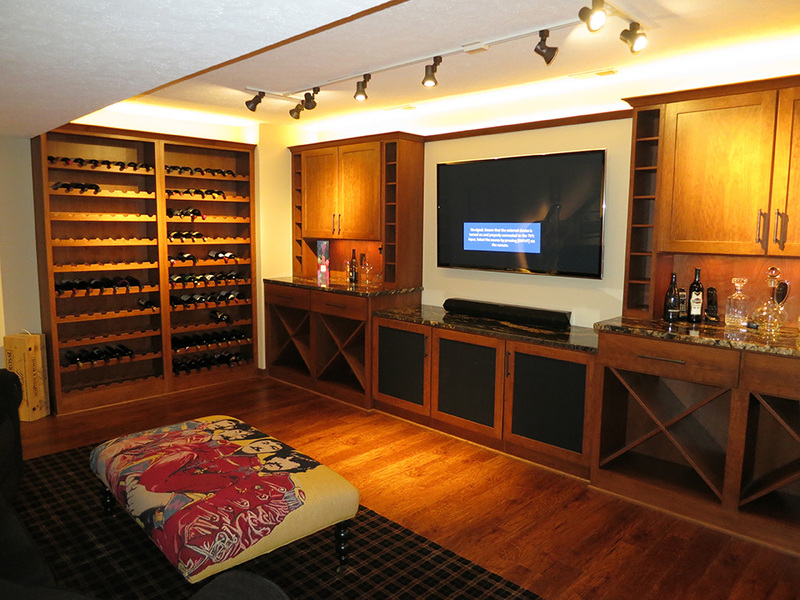 This custom cherry wine rack / media center cabinetry really warms up the room with it's rich, warm tones. The audio / visual components are hidden behind the center doors with grill cloth centers. This homeowner was a major influence with the development of Rock Hall in Cleveland. This very recognizable art piece really catches your eye when coming down the stairs and is a major focal point of the room. A custom bracket holds this Rock Hall Guitar off the wall and then it was backlit with strip L.E.D. lights. It almost gives the illusion that it's floating in air!